Back in the 1980s, you would have been hard pressed to find soybean crops growing in Québec. Yet today, it rivals corn. This is probably because soybean is as popular with farmers as it is with consumers: it requires very little fertilizer to grow and it is a great source of protein and oil. Since it hails from warmer lands, however, soybean does not much enjoy the cold Québec weather or its short summers. Plant breeders, experts who specialize in improving plants through reproduction, have focused their efforts on identifying fast-growing soybean varieties to cross them together and produce a plant that is better suited to our conditions. But this method has its limits: it is both lengthy and costly. It can take up to a whole decade to find out whether the natural breeding of two varieties has resulted in a new one that performs better in our region. There is a way to speed up the process: genomics. “With the new genome technologies, we can quickly identify early-maturing varieties,” explains François Belzile, professor at the Department of Phytology of Université Laval and co-leader of the SoyaGen project. The researcher and his colleague Richard Bélanger, also from Université Laval, created SoyaGen, which relies on genomics tools to help Canadian growers in their quest for short-season soybean varieties that are more resistant to cold and disease. The ultimate goal is to increase crop productivity in order to meet growing demand for the protein-rich plant. In recent years, Canada has carved out an enviable place for itself in international markets thanks to the quality of its soybean, a popular staple in Asia used to make tofu. “With genomics, we can take production to a whole new level,” says François Belzile. The SoyaGen team, composed of scientists from six Canadian institutions, is busy studying the genetic code of soybean to identify the specific genes or combinations of genes involved in key aspects of the plant’s growth. They are also working on finding molecular (or genetic) markers, tiny fragments of DNA located near these genes. These markers, which are easier to measure than genes using DNA technology, indicate the presence or absence of desired plant genes. This is known as marker assisted selection. The value of genomics does not stop here. For several varieties of soybean, researchers have found the genes that provide partial or complete resistance to certain fungi, including the one causing root rot. Using marker assisted selection, they test crosses of soybean varieties that have genes with different types of resistance in the hopes of identifying some that are resistant to many pathogens. “We are also developing genomics tests that can quickly identify enemies growing in the field. This will help farmers grow the variety with the genetic makeup capable of naturally resisting a given pest,” says the researcher. To do so, scientists characterize samples of infected soil or plants in order to find the molecular markers that suggest the presence of harmful fungi. These tools aim to limit crop damage and reduce the need for fungicides. Currently, there are about 530 varieties of soybean grown in Canada that have been characterized with 150,000 genetic markers. Moreover, professor Belzile and his team have managed to sequence the whole genome of some one hundred varieties deemed to be representative of the soybean grown in Canada. “These results are already available in an online database. Unfortunately, catalogues like this, with millions of genetic markers, are of little to no use for plant breeders, so we translate them into information about traits that can be used in the field.” For instance, a plant breeder will be able to know that a specific line of soybean has the genetic makeup to bloom five days sooner than another line. This information is useful for farmers in Western Canada, who are just starting to grow soybean, and for farmers in Québec, who are looking to increase their production. 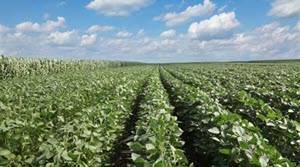 At the moment, Canadian soybean revenues are estimated at $250 million annually, but with soybean varieties “custom-made” for our climate and fields, it could go up by 50%.